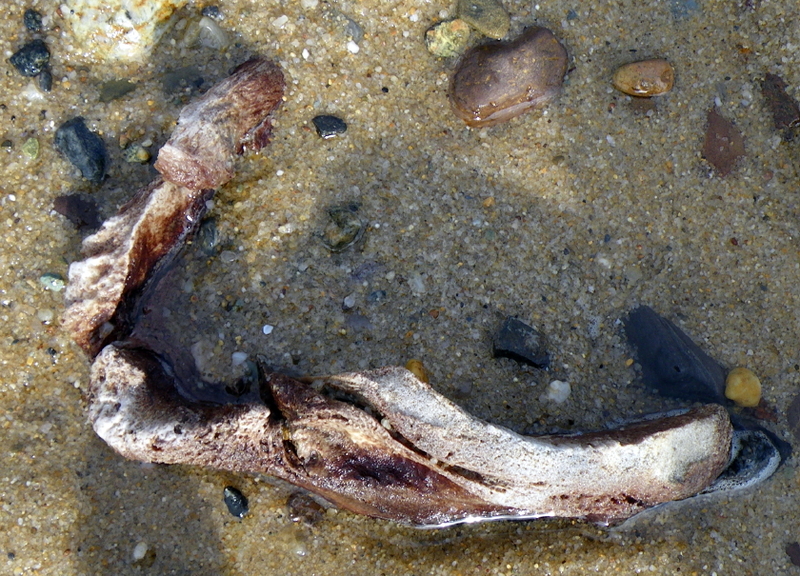 Winter storms and tides pounding Lieutenant Island’s west shore exposed a partially fossilized bone extruding from the low-tide drained beach. While I claim no credentials as an archeologist, and have only jokingly been analogized as part-Carl Sagan, part-Indiana Jones by a Cape Cod Times columnist, I’ve spent enough time scouring Outer Cape shorelines that I can detect even a fairly small and obscure anomaly … in the words of Big Bird, “something that doesn’t belong” … though I may not immediately understand its full scope and importance. And so it was yesterday, as I walked the shoreline to check for Asian shore crab activity off the Lieutenant Island seawalls. With my head down scrutinizing every stone and pebble just above the water line, I spotted a strangely shaped ”rock,” which on closer examination gave me the feeling that a pilot whale skeleton might lay underneath. The edge of what I assumed was bone appeared to be in the process of fossilization, and rather than spongy, the bone seemed to be well preserved and “hard as rock” in the anoxic peat soil of the ancient salt marsh. The afternoon was cold and frigid winds whipped across the windward side of Lieutenant Island. The last thing I wanted to do was hike back over the dunes to the car, retrieve my too small excavation shovel, trudge back to the beach again and dig through wet, heavy peat to uncover a pile of rocks and sand, or worse yet to actually find an intact pilot whale skeleton. But conscience and curiosity overcame cold and inertia. 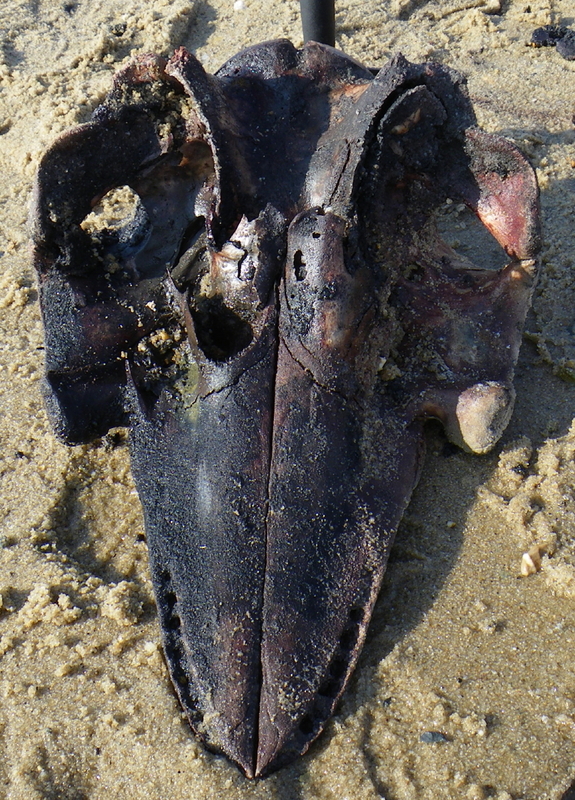 A little investigation and a lot of perspiration yielded a well preserved pilot whale skull that someone must have buried in the ancient salt marsh, after trying or rendering the whale blubbler for oil perhaps a century or two ago. (ASIDE: Trying is the process of boiling off the blubber to yield precious and very expensive whale oil.) 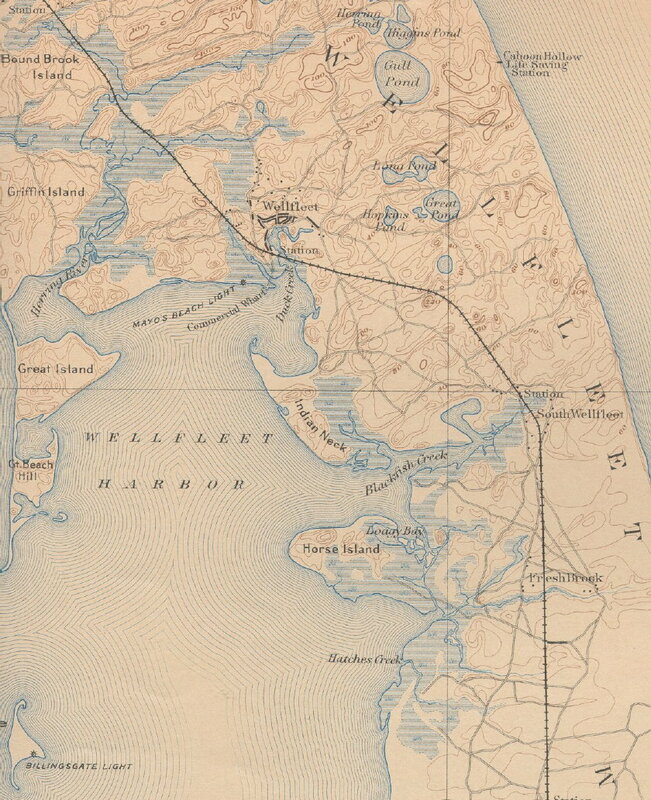 This exciting discovery hints of the historic past of the Outer Cape as a subsistence coastal whaling community, just as it teaches us a tangible lesson about the constantly changing topography of Cape Cod as barrier dunes and salt marshes shift with the advance of tide and time. Only the head had been buried in the former salt marsh by whoever harvested these pilot whales. The rest of the carcass was missing. My intuition tells me that additional skulls have been buried in this peat field and will become exposed in the days ahead. Pilot whales, called blackfish by native Cape Codders, have stranded in Wellfleet Bay over the centuries. In ancient times, these strandings were more frequent and more massive, likely because pilot whale populations were equally larger. Unlike today, a pilot whale stranding was seen by the community as a bounty from God rather than a natural disaster. Subsistence level coastal whaling, practiced on Cape Cod for centuries before and after the arrival of Europeans, consisted first of passively exploiting pilot whale strandings and then more actively of driving blackfish into the shallows to strand. The animals were harvested and tried (rendering out the oil) on the shoreline. Try island on the Wellfleet Bay Wildlife Sanctuary is named for this historic activity. Carcasses, especially the skulls, were buried or sunken after trying in the abutting, oozy salt marsh. The photograph above illustrates a “bountious” mass stranding on the shores of Cape Cod in 1902. Life on the Outer Cape is hard, and before the days of summer tourists, cell phones and the internet, life was a lot harder. The serendipitous stranding of 50 or 100 pilot whales offered the entire community a path to instant prosperity or at least winter survivability. One hundred years later, in 2002, I had the unique and unpleasant opportunity to be the sole eye witness to a mass standing of pilot whales off Lieutenant Island at six in the morning one late July day. The story of that stranding is posted on the Turtle Journal site under the title Two Unforgettable Days and a video clip of my kayak paddle to the scene of the stranding can be viewed under Eye Witness to Mass Stranding. About 50 feet south of the spot where I found the first exposed, partially fossilized bone, I encountered another exposed bone. I did not excavate this bone to discover what might lie below. I suspect there will be additional sightings in the next few weeks in this former salt marsh peat field. 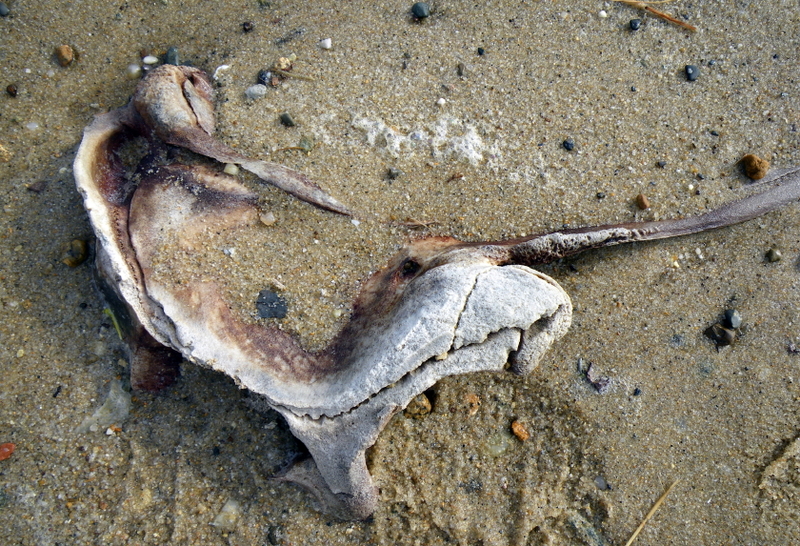 Once spring arrives and summer beaches return, these exposed bones will likely disappear once again. How Long Is Snappy’s Neck? 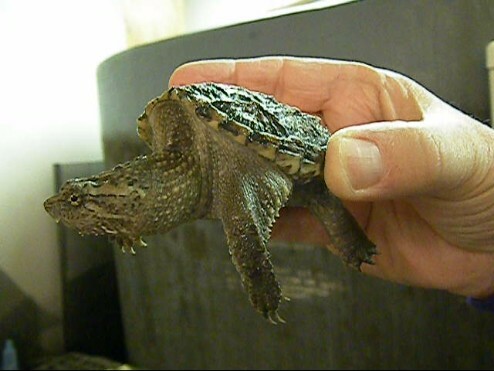 Snappy, the star reptile in the fresh water tank at Mass Audubon‘s Wellfleet Bay Wildlife Sanctuary, offered a practical lesson last Friday on how not to handle a snapping turtle when attempting to relocate it from one place to another. 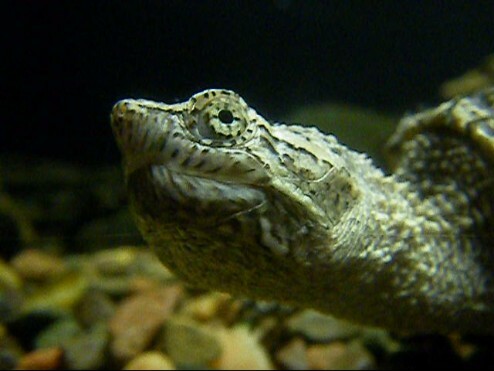 It’s all a question of the turtle’s “business end.” How long is a snapping turtle’s neck and how far down its shell can that neck be stretched? Clearly, it’s best to learn these lessons with a young juvenile as teacher. While an adult snapping turtle would teach the same subject, its lesson might be a tad more permanent. They don’t call them snappers for nothing. Not only can a snapping turtle reach halfway down its carapace (top shell) to express its displeasure with human interaction, but a snapper can “quick draw” its neck faster than the Lone Ranger can unholster his six-shooter and fire a silver bullet. Lucky for Don, Snappy has yet to master this aggressive technique in the safety of his life in paradise. We suspect, though, that the next time he’s handled so casually, someone will pay the price of admission … so to speak. Where does Snappy put all that neck when not in the snapping mode? 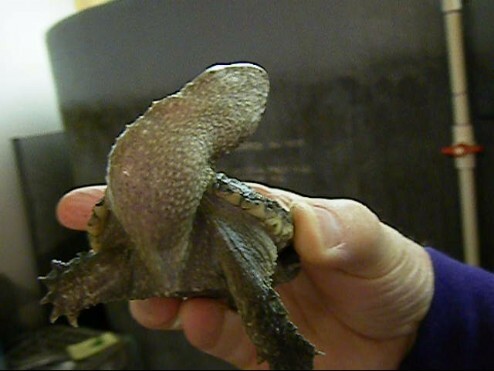 A snapping turtle retracts its neck into a vertically bent S-curve within the protection of its shell when not capturing prey or warding off too curious humans and other similarly foolish critters. That $30M earmark in the Stimulus Package wouldn’t have saved this unfortunate marsh mouse. The mouse lived 2700 miles east of San Francisco and the red-shouldered hawk wouldn’t have cared whether it was protected by the feds or not; which it wasn’t. 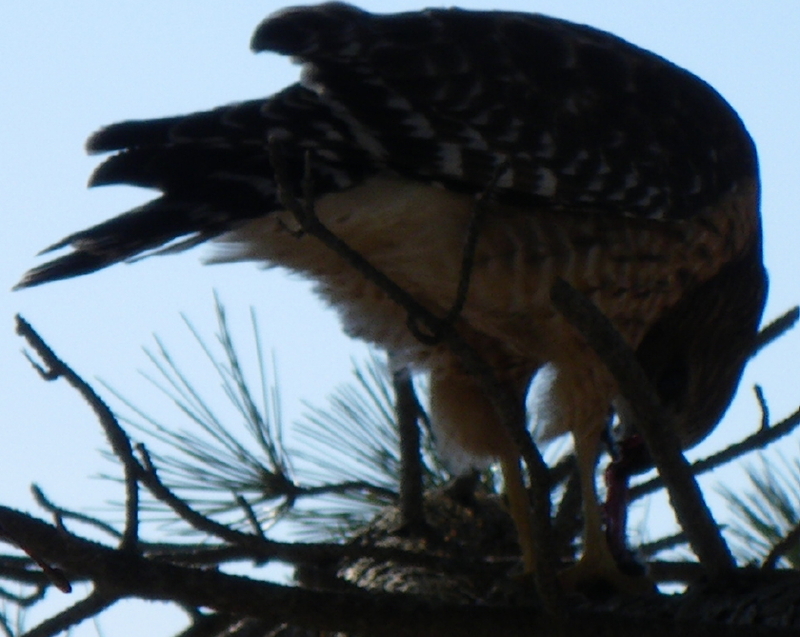 The hawk was simply hungry and the mouse bolted from its marsh hideaway at the precise wrong time. End of story … for the mouse. 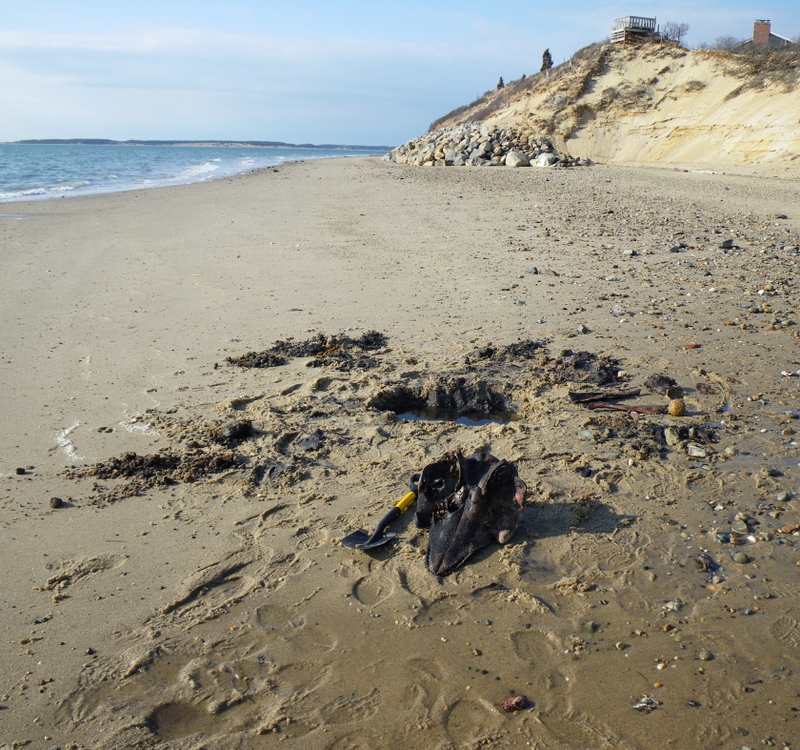 We visited Onset Beach on Saturday to investigate reports we received at last week’s Turtles Gone Wild presentation at the Wareham Free Library. (See “Turtles Gone Wild” S.R.O. Hit at Wareham Free Library). We checked out the beach area where diamondback terrapin nesting was spotted last summer and continued our walk through scenic Onset village to enjoy the sunny afternoon. 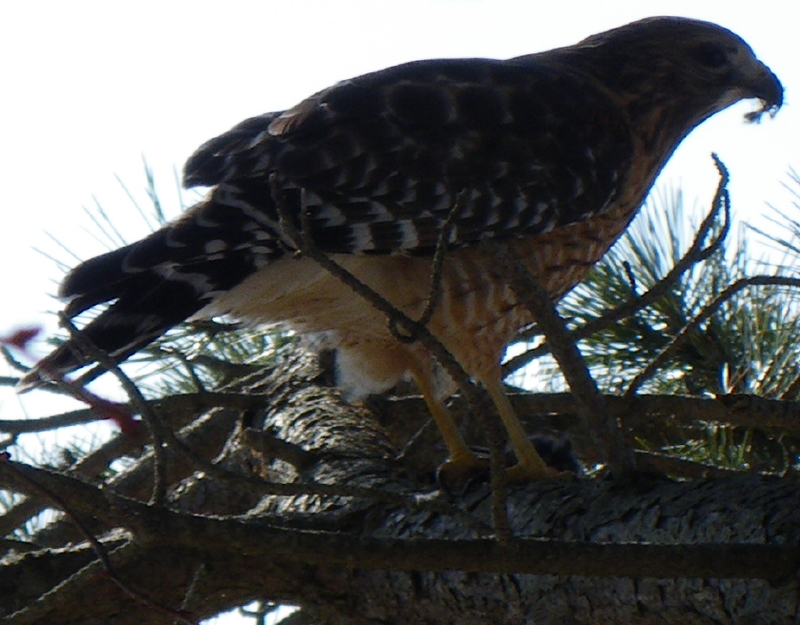 As we walked along the high bank overlooking the harbor, we spotted a red-shouldered hawk swoop down into the marsh edge and return with talons firmly gripping a mouse. 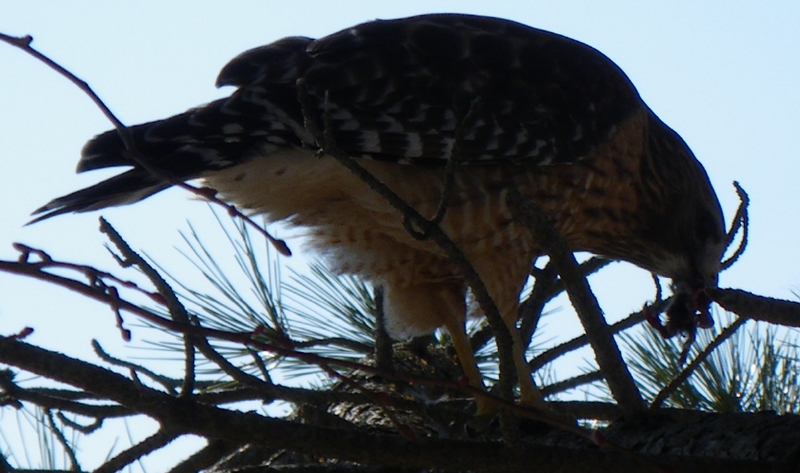 The hawk settled on a pine tree branch about 8 feet off the ground. Clearly, this raptor’s hunger out-voted its fear because it allowed us to approach within 10 feet to document its feast. Cleanly, efficiently, yet unhurriedly, the hawk devoured its prey with no regard for our presence. Swallowing the last morsel, the hawk leisurely lifted its wings, caught the breeze and sailed into the bright blue sky to survey the marsh menu for dessert. Tragedy turned into dramatic rescue for a threatened diamondback terrapin yesterday, February 20th, on the Outer Cape. Applause goes to a very conscientious Wellfleet shellfisherman who made all the right moves to ensure the animal’s survival and to an extremely responsive Wellfleet Bay Wildlife Sanctuary that kicked into action when the call came. In combination, they saved the life of a mature female terrapin from near certain death in the still frigid conditions of Wellfleet Harbor. As a bonus, this turtle was an old friend whose rescue added significant scientific detail to our three decade longitudinal study of terrapin populations on Cape Cod. The call reached Mass Audubon‘s Wellfleet Bay Wildlife Sanctuary around 4 o’clock. 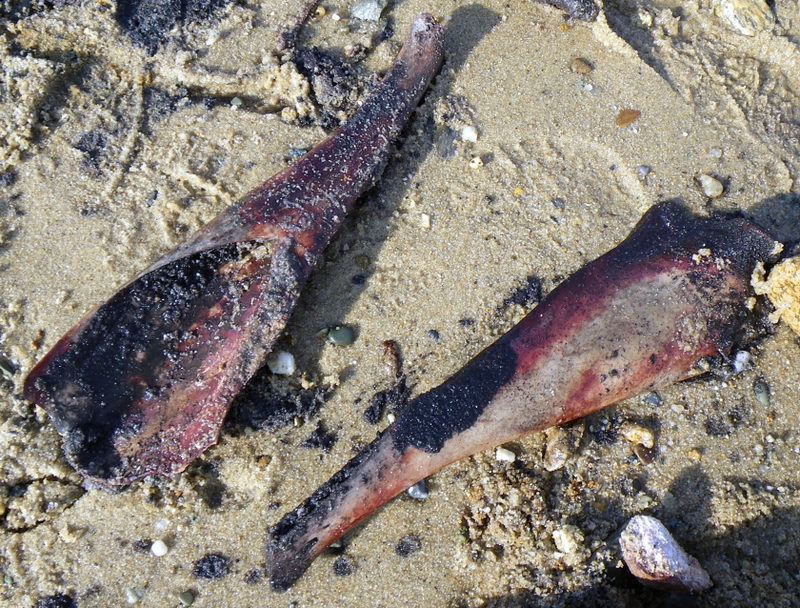 Clint Austin, a Wellfleet shellfisherman, had been harvesting in low-tide drained Chipman’s Cove off Wellfleet Harbor. Emptied of water, the winter bottom of the cove consists of “black mayonnaise,” an oozy mixture that more than justifies its name, atop a thick, frozen substrate that has been under ice for more than a month. In the summer, it’s hard to find any bottom under the black ooze that mimics the sucking quicksand scenes from every Saturday matinee Tarzan adventure. Terrapins brumate (the reptilian equivalent of hibernating) in Chipman’s Cove, as well as other estuaries throughout Wellfleet Bay. 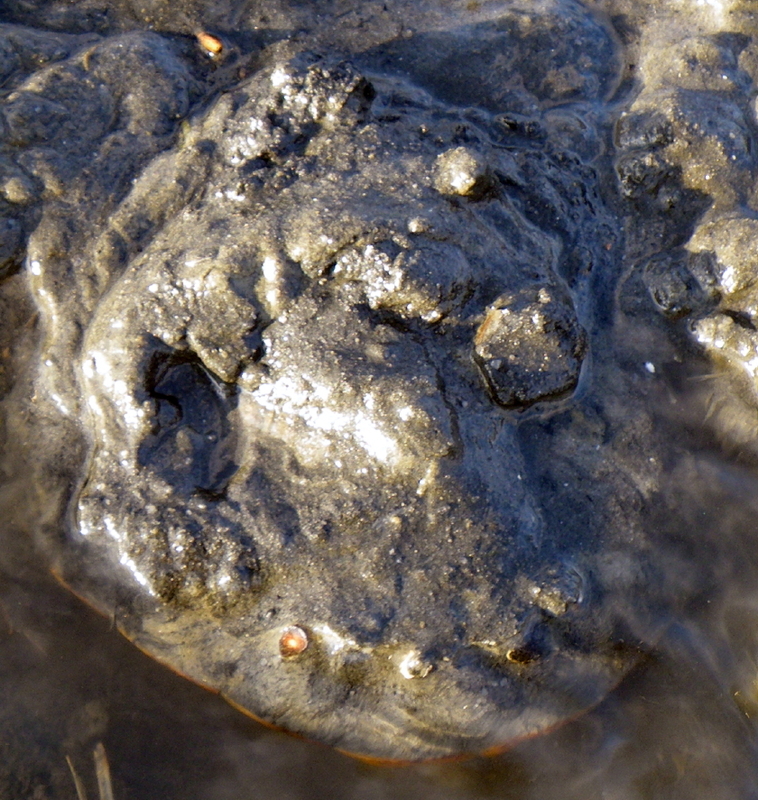 As winter lengthens and the ground freezes, they squirm deeper and deeper into the insulating ooze to avoid freezing. Unfortunately, the 15-foot tidal range between lowest low and highest high tide leaves these estuaries and coves exposed and vulnerable to storms and the scraping of icebergs that drag through the black mayonnaise like ploughs. And there’s always the unlucky terrapin that chooses just the wrong spot. So, in February’s thaw as the ice sheet begins to melt, a few terrapins become unearthed from their hibernacula by these forces and succumb to freezing temperatures. Fortunately, Wellfleet shellfishermen go out to harvest during these breaks in the ice and many keep a sharp lookout for the harbor’s signature reptile as they gather clams and oysters. Clint did more than maintain a sharp lookout. He found the terrapin just beneath the surface in the oozy middle of Chipman’s Cove. Clint had the foresight to mark the spot with a thin white tube before he called into the Sanctuary with the report of his discovery. Without that marking, the chance of finding this vulnerable turtle again would have been nil. To the contrary, following his directions and locating the marker, we discoverd Terrapin #2102 under a fine layer of black mayonnaise with just her bright rear marginals showing. How cold was she? This turtle was so cold to the touch that my fingers nearly froze through my gloves as I carried her back to the car. We instantly recognized her markings and remembered her from her nesting run on Lieutenant Island’s 5th Avenue this last summer. Back at Turtle Journal Central, the process of gradually returning Terrapin #2102 to life began. We slowly raised her body temperature through the night, as we began to clean off layers of frozen ooze. When she started to act normally, we took weights and measurements to compare with her last observations on June 22nd, 2008. Clearly, she had enjoyed a very good summer because she had gained 90 grams and added about .25 centimeter to all her linear dimensions in just a few short months. Interesting from the standpoint of terrapin movement within Wellfleet Bay was a comparison of her brumation site with her nesting location. 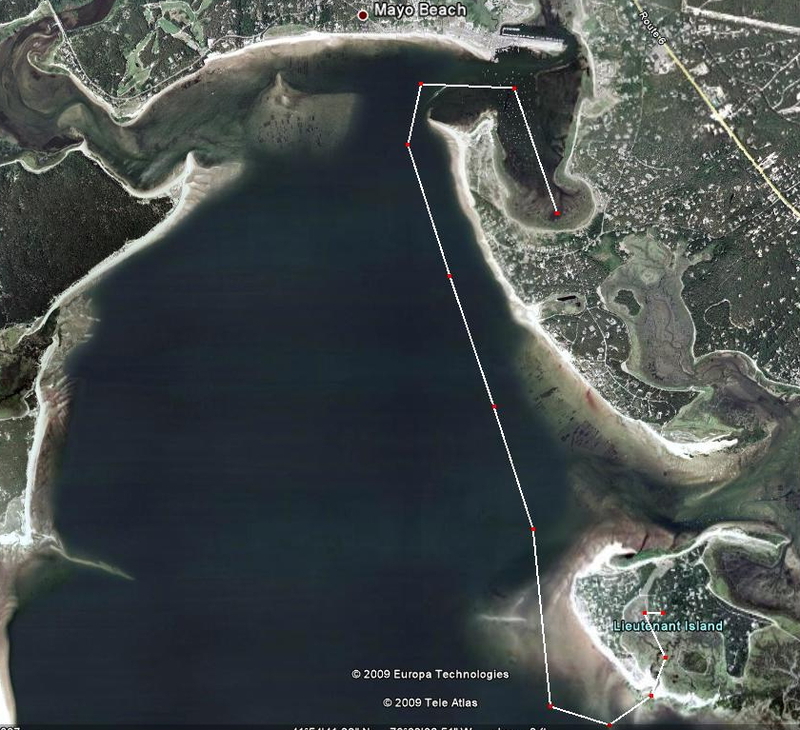 While Terrapin #2102 brumates in Chipman’s Cove to the north in the winter and had been observed previously in the Chipman’s Cove mating aggregation in the spring, she nests on the south side of Lieutenant Island, a trek of 4.5 miles one way. Observations of terrapins that deposit two clutches annually in Wellfleet Harbor show that they return to their mating aggregation between nests. For Terrapin #2102 that would involve 18 miles each year for the two 9-mile roundtrips. Not bad for a non-migratory species! Cheers to Clint Austin! Cheers to Wellfleet Bay Wildlife Sanctuary! And good luck to Terrapin #2102. Yes, sleet and snow fell this morning. Yes, ice edges the salt marsh channels along the Outer Cape. Yes, it’s still deep winter outside. Yet, inside Mass Audubon‘s Wellfleet Bay Wildlife Sanctuary, summer never ends for Snappy, the extremely fortunate snapping turtle hatchling serendipitously chosen to star as the signature critter in the fresh water display tank. Snappy is simply thriving, growing as fast as the food supply allows. True, fish can no longer occupy the same tank as Snappy. Well, not completely accurate; they can occupy the tank with Snappy for a little while, and then they can occupy the less spacious tank inside Snappy’s tummy for a lot longer. No matter the temperature outside nor our temperment inside, a visit to Snappy at the Wellfleet Bay Wildlife Sanctuary brings a warm, summer feeling with bright hopes for the spring season just one month away. When you see Snappy, tell him the Turtle Journal sent you. Oh, we recommend that like the fish, you stay out of the tank. 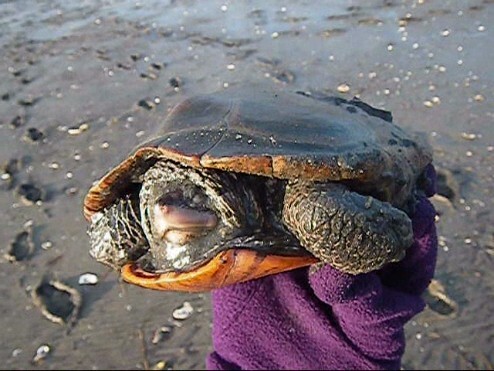 For earlier reports on snappy, see Meet “Snappy” at Mass Audubon’s Wellfleet Bay Wildlife Sanctuary and http://www.turtlejournal.com/?p=1609. 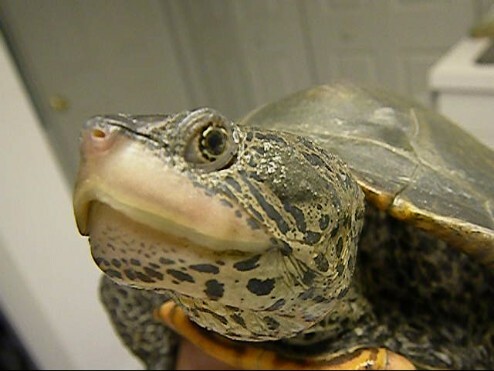 You are currently browsing the Turtle Journal blog archives for February, 2009.